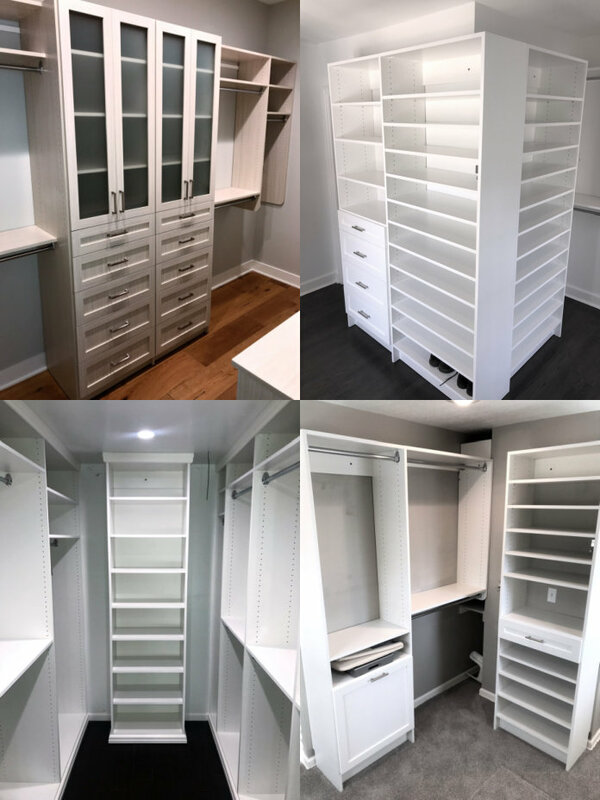 KC Custom Closets designs and installs storage systems in closets, garages, laundry rooms, pantries, home offices, and mudrooms throughout the Kansas City metro area. We provide full service design and installation in residential and commercial projects of all sizes. We will build your dream closet or help you organize even your smallest closet. Let us show you the impact an organized and simplified space can have on your life. KC Custom Closets designs and installs closet systems throughout the Kansas City area. Most people use only a fraction of the space in their closets while the rest becomes a tangled mess of old clothes, shoes, sports gear, and all manner of detritus that collects from living your life. Imagine a world where you can easily pick out your clothes and quickly put away your laundry. Imagine not having to iron your clothes that are wrinkled from simply hanging in your closet. KC Custom Closets designs and installs storage solutions in laundry rooms, linen closets, pantries, mudrooms, and many other spaces. Simplified, organized living extends from your closets to your garage to the rest of your home. We can help you demystify and declutter any space in your home. We will make space where there isn’t any. can organize and simplify the spaces in your life. Call or email to schedule your free, in-home design consultation.